With the release of Indecent Noise's Dark Sessions IV album arriving simultaneously with this single and Discover Dark all over the download charts that count, Jawbreak-R offers an exciting taste of the album with the Indecent Noise remix whilst simultaneously delivering the Original Mix exclusively on this single. This is heads down deep, dark, occasionally moody, sometimes funky, often techy and always classy!! 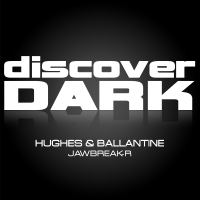 More Discover Darkness delivered courtesy of Hughes and Ballantine!!! 'Jawbreak-R' is available now from Beatport and iTunes.